When you're at the Temple of the Oracle, tap R2 near the firefily, the Gravedigger, and then between the two torches at the bridge. 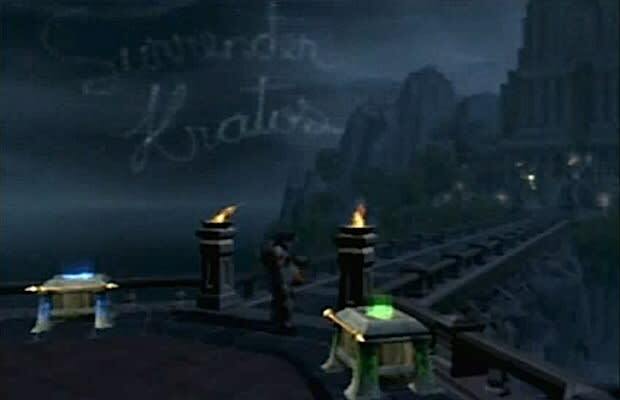 You'll see the words "Surrender Kratos" written in the sky in real time. Which is cool and all, but we expected the words to be written in blood, not in dainty cursive. We're talking about the gods of Olympus here; they kill their own children. Why does the message look like it was skywritten by Snoopy's flying doghouse?